Spring is a great time to do some fishing. 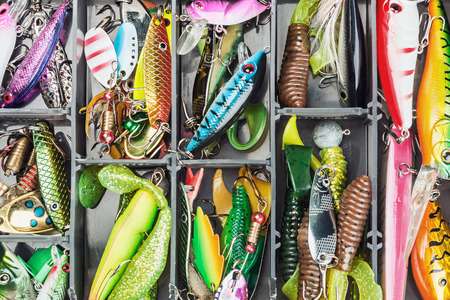 But what kind of bait should you use, natural bait or artificial lures? 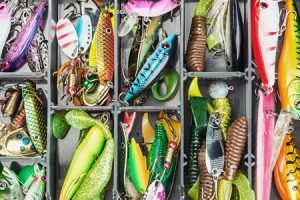 Read on to learn about the differences between the two and how they can affect your daily catch. … are effective due to their familiar texture, color and odor. Worms are universally effective, and locally acquired baits are great, too. Bait is very good at fooling most fish. … are great for colder, darker and muddier conditions. The darker and colder the water, the stronger odor you should use. … work well when fish are less active. … are usually very cheap, or even free if you catch your own! … can be easier to use, as many fish hook themselves when they eat bait, which removes the guesswork for when to strike. … are great for catch-and-release situations, since the fish won’t be as deeply hooked. … catch larger fish on average, and conversely, catch fewer unwanted fish. … don’t smell the way live baits do. … make for an active, engaging fishing experience, in which you can cover more water. … are fantastic for brighter, warmer and clearer conditions, and when fish are more active. Now that you’ve chosen your bait, you must be ready to do some fishing in the Gulf waters off the coast of Alabama! You’ll be fishing in style on one of Triple Trouble’s luxurious charter fishing boats. Join Alabama native and captain Chad Reyer on a jaunt to the Gulf’s most abundant waters, full of Grouper, Mahi Mahi, Snapper and more. Give Captain Chad a call at 256-431-5767 to find out more!